How can I exchange funds online? Since we’ve revamped our website, you can now buy and sell crypto online. Click the "Exchange" button on the left. 2. On the next page you’ll want to select which funds you are exchanging. If everything looks good you can confirm! All the amounts and rates displayed on the exchange page, include our fee of 0.75%. 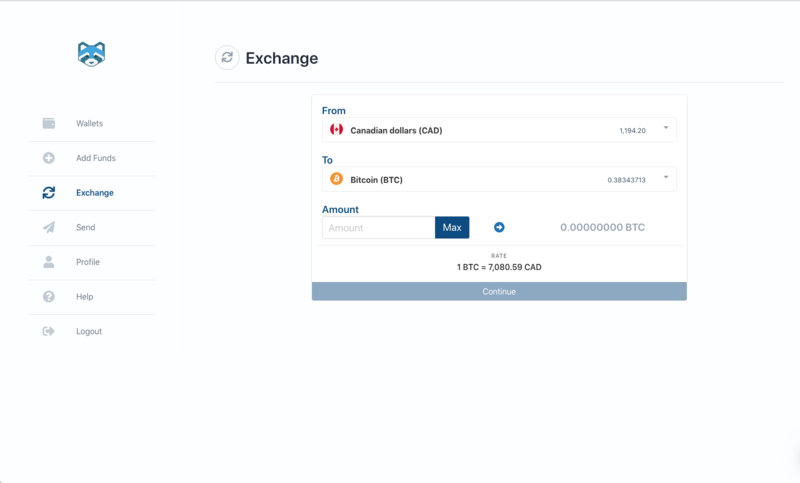 The main "Wallets" screen will display the CAD equivalent of your funds with our mid-market rate. 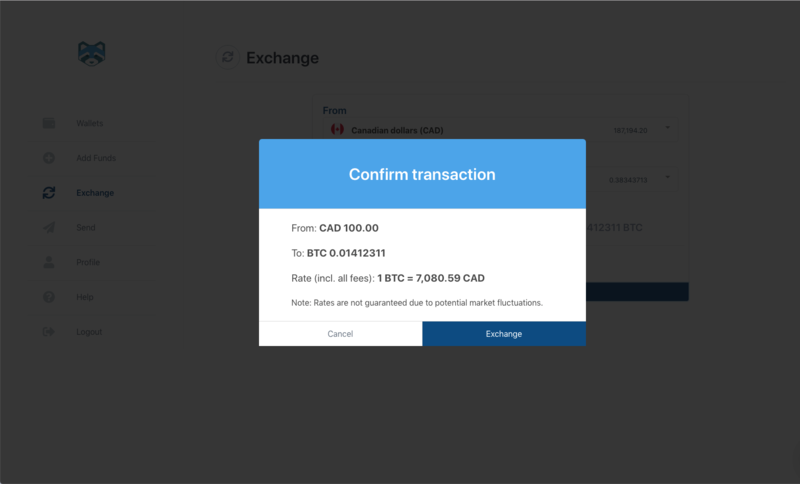 The "Exchange" screen will display your funds with either the buy or sell rate with our fee included. If everything looks good, click the big blue button at the bottom and, just like that, you've exchanged your funds. If you need any help, reach out to our support team!